Our broken tax code is hurting American families and small businesses in western North Carolina and all across the United States.  This week, the Committee on Ways and Means introduced H.R. 1, the Tax Cuts and Jobs Act, which provides meaningful reforms to help all Americans and fundamentally transforms our nation’s tax code. This bill provides tax relief for hardworking families and businesses so they can keep more of their paychecks, create more jobs, and help our economy grow. Click here or on the image below for my full statement on the Tax Cuts and Jobs Act. 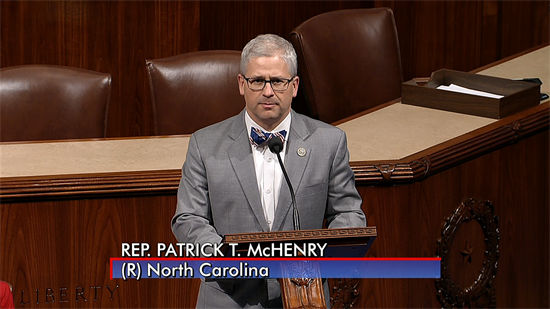 Thursday afternoon I gave a speech on the House floor in support of the Tax Cuts and Jobs Act. I spoke about how this bill will help families and businesses in western North Carolina. Click here or on the link below to watch the full speech. This week I had the opportunity to join CNBC and Fox Business to discuss our plan to create a tax code that actually works. 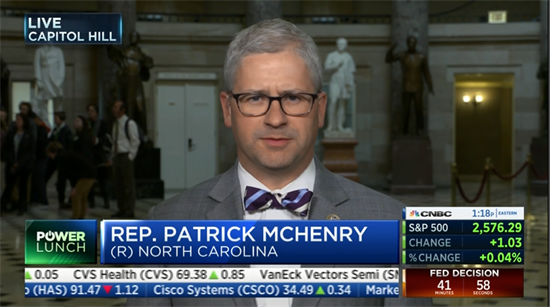 On Wednesday, I spoke on CNBC’s Power Lunch to share my thoughts on why I believe our plan will help provide tax relief for the middle class and small businesses. Click here or on the image below to watch my interview with CNBC's Power Lunch. 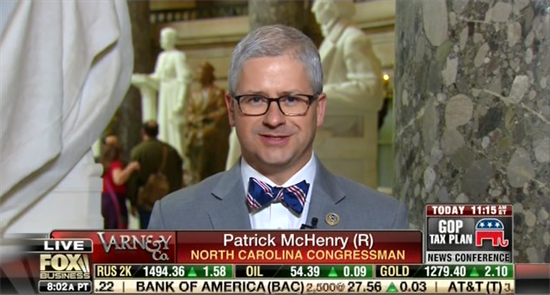 After the House Ways and Means Committee introduced theTax Cuts and Jobs Act on Thursday, I spoke on Fox Business' Varney and Co. Watch the full interview by clicking here or on the image below. This week President Trump signed a Congressional Review Act bill to successfully repeal a deeply flawed, Obama-era rule from the Consumer Financial Protection Bureau (CFPB). The CFPB’s harmful anti-arbitration rule put trial lawyers and special interests before American consumers. 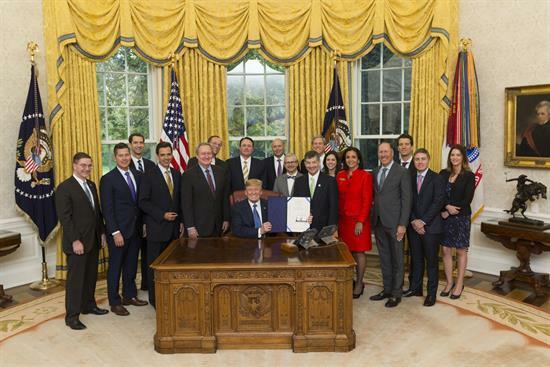 On Wednesday, I had the honor of joining President Trump in the Oval Office as he signed this resolution into law. Click here to see my full statement on the House passage of the repeal of the CFPB arbitration rule. I was heartbroken to hear about the attack in New York on Halloween. Giulia and I are praying for all those who have been killed or injured and their families. Our prayers are also with all the people of New York as they deal with this terrorist attack. I was saddened to hear about the passing of William Cecil and my thoughts and prayers are with his family. He was a true leader in western North Carolina and will forever be remembered for his tireless work to make the Biltmore Estate the icon it is today. Thursday we passed the Protecting Seniors’ Access to Medicare Act. This bill repeals Obamacare’s Independent Payment Advisory Board (IPAB), which gives power to unelected Washington bureaucrats to control senior’s access to Medicare.